This product is not avialable for home delivery. 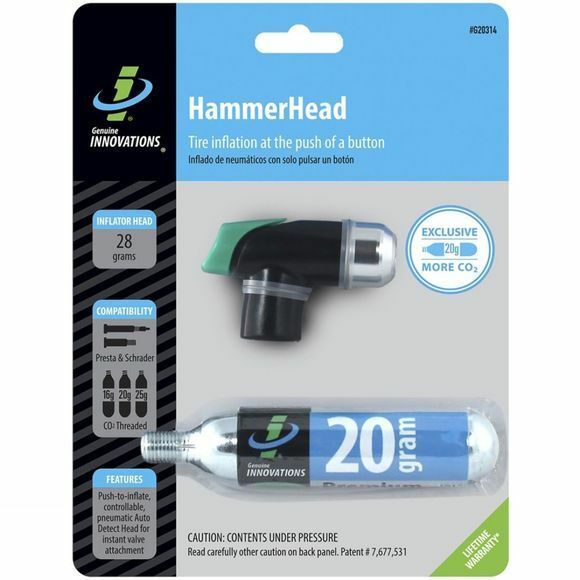 This lightweight hammerhead CO2 inflator provides reliable inflation at the simple push of a button. It is compact, perfect for storing in a pocket, and super easy to use. Just push the button on the back and your tyre will be inflated in seconds. Supplied with a 20g threaded cartridge, ideal for wider road or MTB tyres.